The move reflects President Trump's mention of a "human wall," but comes amid increasing frustration among Pentagon leaders with the continued border requests from Homeland Security Secretary Kirstjen Nielsen. Under the new directive, the troops will be moved from Arizona to Texas and — in a sign of the Pentagon's frustrations — will not represent an increase in the overall number of U.S. troops assigned to the border mission. Nielsen said in a statement Tuesday that a caravan of 2,000 immigrants was approaching the Texas border, and that DHS will "take all steps to ensure the safety and security of law enforcement personnel" at the border. She asked Customs & Border Protection on Monday for forces to reinforce the area where the caravan mayattempt to cross into the U.S. Earlier this week, the Texas Department of Public Safety sent state troopers to Eagle Pass in advance of the caravan's arrival. "Acting Secretary of Defense Shanahan has authorized the repositioning of approximately 250 active duty military personnel from current border security support missions in Arizona to the vicinity of the Eagle Pass [Ports of Entry]," said the statement by Capt. Speaks. "This support is being provided under existing authorities and in accordance with previously approved requests for support." President Trump tweeted about sending military to the border Tuesday morning, writing, "Tremendous numbers of people are coming up through Mexico in the hopes of flooding our Southern Border. We have sent additional military. We will build a Human Wall if necessary. If we had a real Wall, this would be a non-event!" 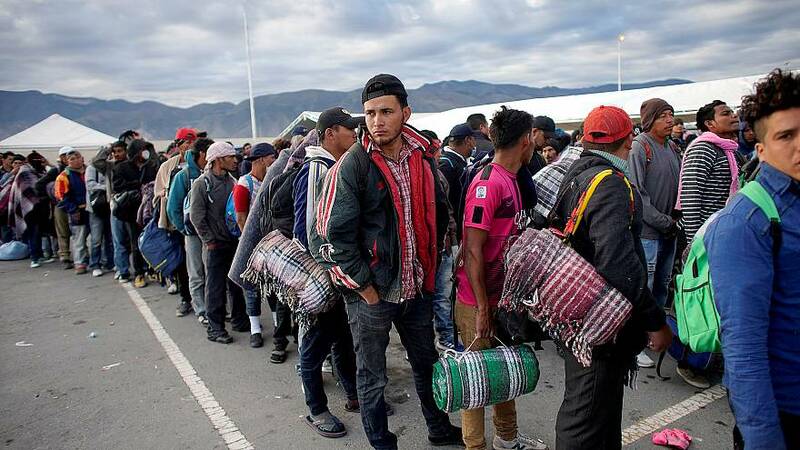 The additional troops will be military police, medical personnel, and engineers who will support hardening the ports of entry, according to the Pentagon's statement. The Pentagon has about 2,400 active duty troops deployed to the border mission now, with that number expected to increase later this month. Pentagon leadership is growing tired of the continued stream of border requests coming in from DHS, according to one current and one former official familiar with the discussions. There's a real loss of patience for it in the building, the sources told NBC News. A phrase increasingly heard around the Pentagon is, "We don't work for Kirstjen Nielsen," according to the two officials.